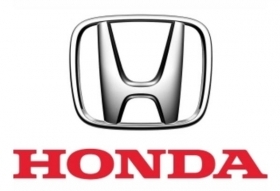 TOKYO -- Honda Motor Co. plans to double its global vehicle sales to 6 million in five years, driven by demand for small cars such as the Fit/Jazz subcompact and new models in emerging markets including China and India. Honda aims to sell 3 million cars in Japan, the United States, Europe and other developed markets combined, up from about 2 million it sold in the year ended March, and double sales to 3 million cars in emerging markets including India and China, Honda CEO Takanobu Ito told reporters today. Last fiscal year, Honda's global sales were 3.1 million. The Fit, also known as the Jazz in some markets, subcompact car and its derivatives, as well as the Brio small car, will be at the core of the company's product lineup so that Honda can reach its sales target, Ito said. "This is quite a big figure for us and there were debates over whether we should make it public, but unless we set a goal and work to figure out how we can achieve it, our business operations won't be specific," he told a news conference. "To reach sales of 6 million units, the Fit will be very important and be the leader in volume sales," Ito said. "In terms of volume sales, our Brio compact, which we expect to expand sales of in emerging markets, will be the next biggest." Ito did not elaborate on the automaker's biggest car market, North America, or its mainstay mid-sized car the Accord, which went on sale in the United States this month. Honda will open new plants that will produce the Fit and its derivatives in Mexico and Japan. The Mexican plant will start work in spring 2014, and the Yorii plant in Japan will become operational in July 2013. The Fit series is currently produced in 12 countries, including Japan, Brazil, China, India and Indonesia. The new Fit series will go on sale in Japan in 2013 and globally in the following two years. The Brio was introduced in Thailand and India last year. The company will introduce 10 new and refreshed models in China by 2016, and a diesel model in India in the year ending March 2014. Honda will also introduce a new sports car in Japan in 2013 and redesigned versions of its luxury Acura brand in the next three years. Ito said Honda will keep making 1 million cars in Japan, with a greater focus on 660 cc minivehicles that are selling well.